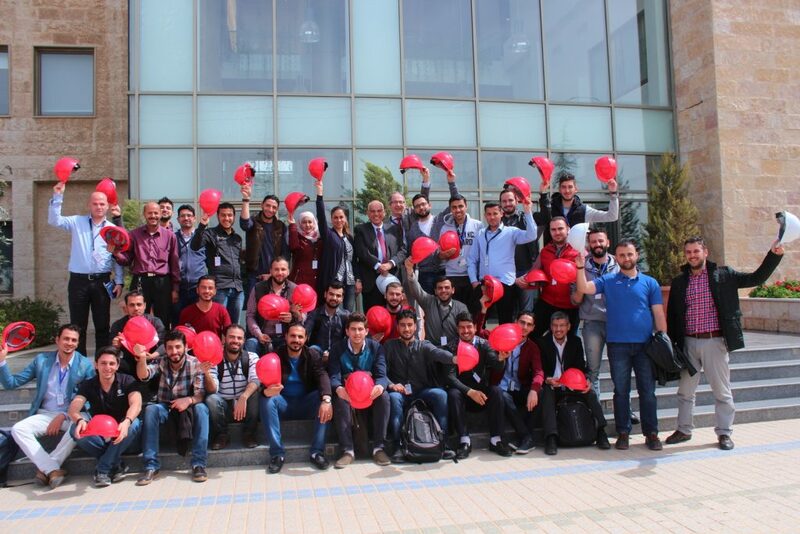 On Thursday, March 8th,2018, EDU-SYRIA team organized a field-trip to Petra Engineering Industries Company for EDU-SYRIA engineering students. 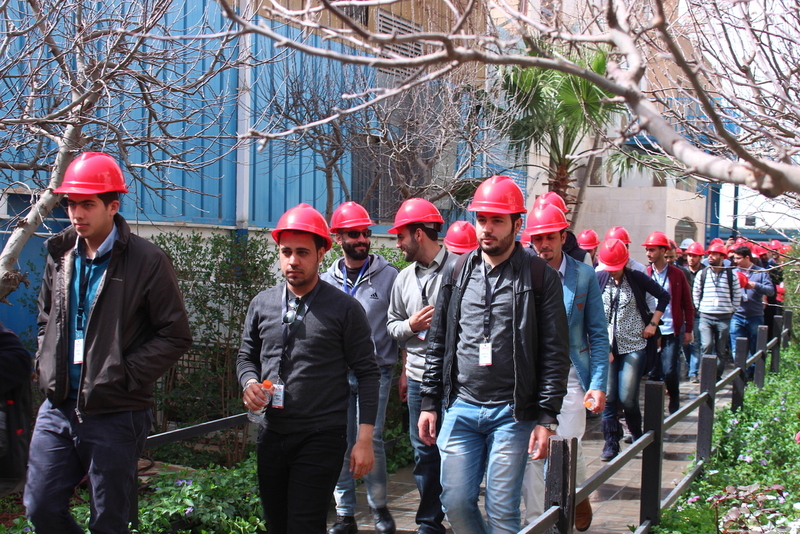 Mr. Job Arts, the EU representative and Dr. Dhiah Abou-Tair, EDU-SYRIA project manager have joined the visit of 24 EDU-SYRIA students from both Zarqa University and Al Quds College to Petra Engineering Industries. Eng. 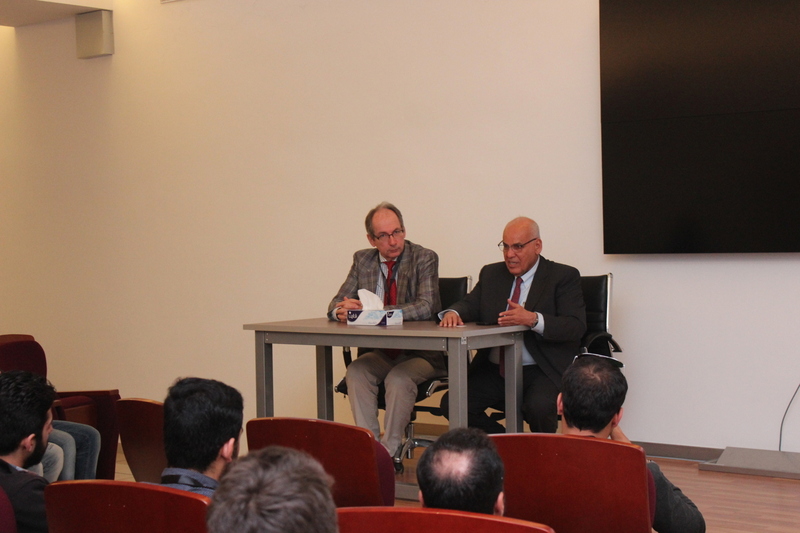 Omar Abou-Weshah, the vice president of Petra Industries, gave a brief history of the company that was founded in 1987 to produce a wide variety of HVAC equipment that meets a diversity of application requirements catering to the worldwide market. Petra’s equipment has gained recognition in over 20 countries worldwide including the USA. 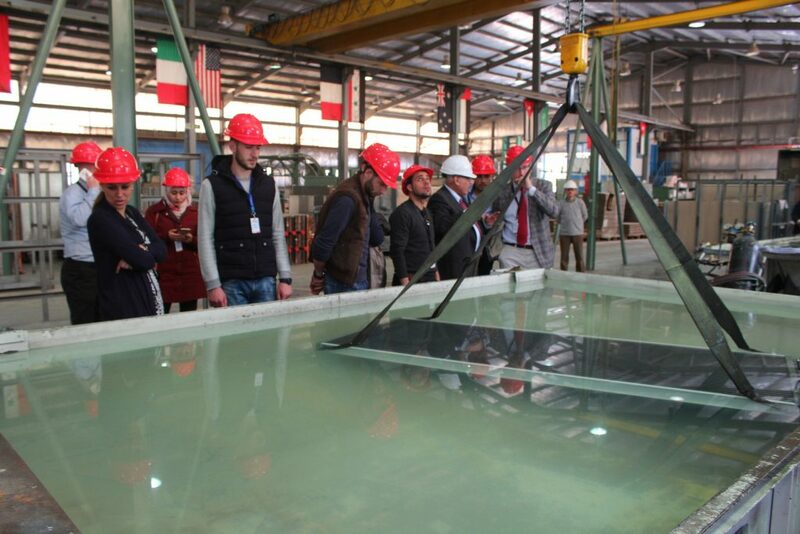 During the visit, Mr. Arts, Dr. Abou-Tair and Eng. 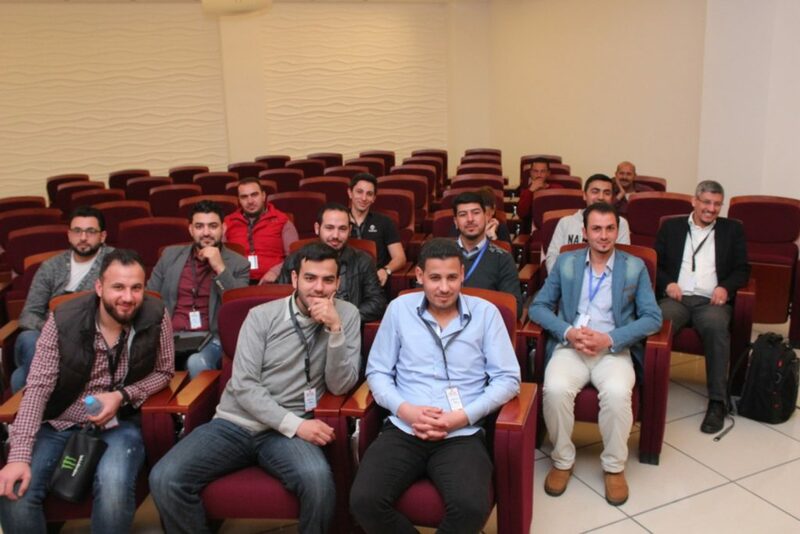 Abou-Weshah discussed the potential internship and job opportunities for EDU-SYRIA students within Petra Engineering. The students had a tour in the manufactory guided by two engineers from Petra, where they got an insight into Petra technologies, HVAC production Process and the company various divisions. They also got the chance to look into testing labs and sounds labs. 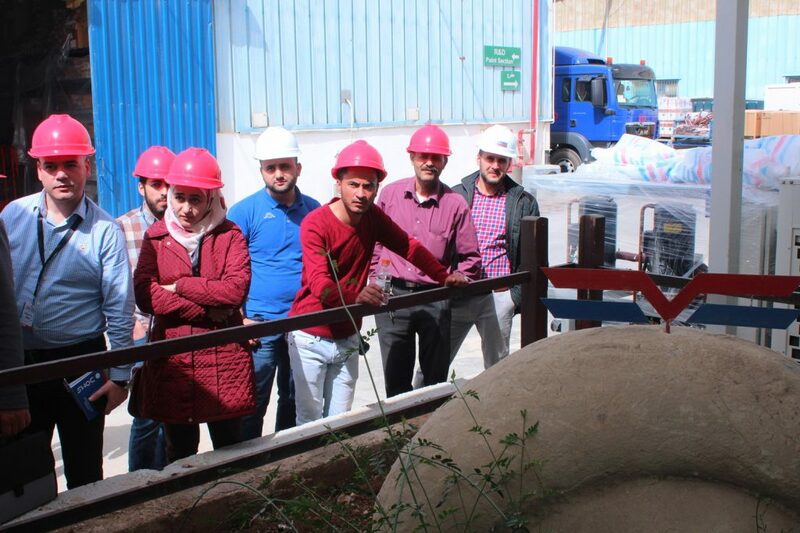 This visit aimed to introduce the students to the working environment and help them to relate university theoretical teaching to the real practical working life.